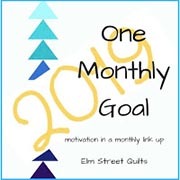 Welcome to my blog where I hope we get to know one another better through not only our mutual enjoyment of quilting and sewing, but through other experiences as well. We have families, we love a good book, we love gardening, we love to travel and we love to eat! We can talk about what motivates us, what challenges us, what makes us laugh. Let’s take this blogging journey and see where it leads! My name is Laura and I live in the gorgeous mountains of the northeastern corner of Washington State (My tiny town, Evans, isn’t on the Google map.). I am married with two fantastic children and their spouses, five fabulous grandchildren, and numerous almighty warrior barn cats. I am the kid who ate her mud pies. I’m all grown up now…even raised a family of my own…but I still play in the dirt. I like my hands messy. I am a sucker for a flower. My garden cannot make up its mind. Is it formal? Definitely not. Is it a rose garden? Indeed. Is it a perennial garden? Most definitely. I have my own version of a cottage garden. It isn’t neat or orderly, but oh is it ever colorful. I love color! But I live in the north. It is white in the winter and I starve for color. But no longer. I discovered quilting and dyeing fabric and threads. Now my hands are messy and my heart sings in winter. My quilts tend to be traditional or influenced by traditional quilts of yesterday. I love floral quilts and enjoy appliqué very much. I’ve never entered a national quilt show, but have won many awards locally. I have served in several positions, including president of a local quilt guild. I love experimenting with all the luscious colorful threads and embellishment tools on the market today. I am also a serendipity kind of fabric and thread dyer/painter, preferring the surprise of the play over the scientific formula of the color (although I’ve done that too). And I thank you for visiting! Howdy Neighbor! I’m happy to hear from you Lois! Small world, huh?! You tell Bruce not to shoot my bear! Ha, ha! I am happy that you are enjoying the blog and really appreciate the compliment and encouragement. Thank you! Hi! I found your blog while looking at images of thread sketching. I’m a quilter and am looking to expand what I do. I never use standard patterns because I can’t follow directions for piecing…so I make my own blocks and put them together. I took a class at my local fantastic fabric store and we did thread sketching…well, that opened up a whole new world!! I do pastels so thread sketching is just perfect for my not-so-great painting skills! I love your blog and will be back to visit! Hi Barbara! Thank you so much for taking the time to comment! Thread sketching is fun and I do think it is perfect to enhance your painting! I got here through Bonnie Hunter’s Yahoo page. We live on the same side of WA state, but you are north and I am south. I’m about an hour south of Spokane, and you live in the greater neighborhood of my grandparents’ home in Colville. Amazing the links I find through BH’s Yahoo group. Lots of nice people there. Needless to say, I am a quilter too, and a cat lover. No quilt is complete without its compliment of cat hair! My grandparents used to live out near the airport, but g’pa died in 1966, and g’ma in 1988. If you want more specifics, contact me privately at email address. Claudia, I’ve lived here since 1981, so now I am thinking that I probably did not meet your grandmother. But it is fun to know that someone actually has heard of the little part of the world that I live in. Ha, ha! An hour south…approx. Ritzville or Colfax?